Today i'm going to share with you most demanding template for Blogger or blogspot , Yes! 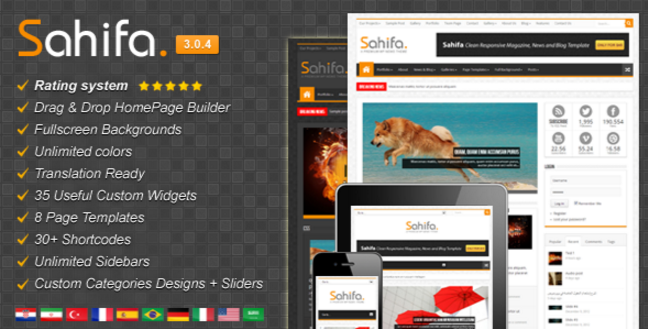 it is Sahifa Template .. Everyone demands this amazing , attractive , simple and cool template for his / her blogger .. Now you can get this adorable template from here .. 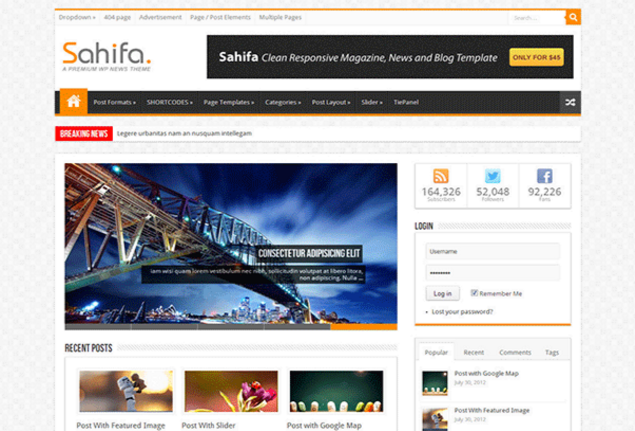 But first let me tell you some overview and advance features about sahifa template .. Sahifa Template is totally SEO optimized theme for blogger than any other .. Sahifa is Developed and produced for Wordpress earlier but according to demand by the users now it is available for Blogspot .. Basically Sahifa is clean responsive , SEO optimized and fast loading template with professional look , that's why most of the people wants this amazing template .. Sahifa Template is more stylish , simple and user friendly theme for blogger than any other ..
Sahifa Template is fast Loading theme for blogger .. Stylish Menu Bar and Drop Down ..
Beautiful and Attractive Social Widgets automatically add ..
Download Sahifa Template from above Download Button ..
After Download Extract the Zip file , There you'll find sahifa.XML file ..
Now click on Backup/Restore option right upper corner ..
Then final step is Upload your Sahifa Template.xml file which was Extract from above ..
You have Done , Enjoy your Template ..